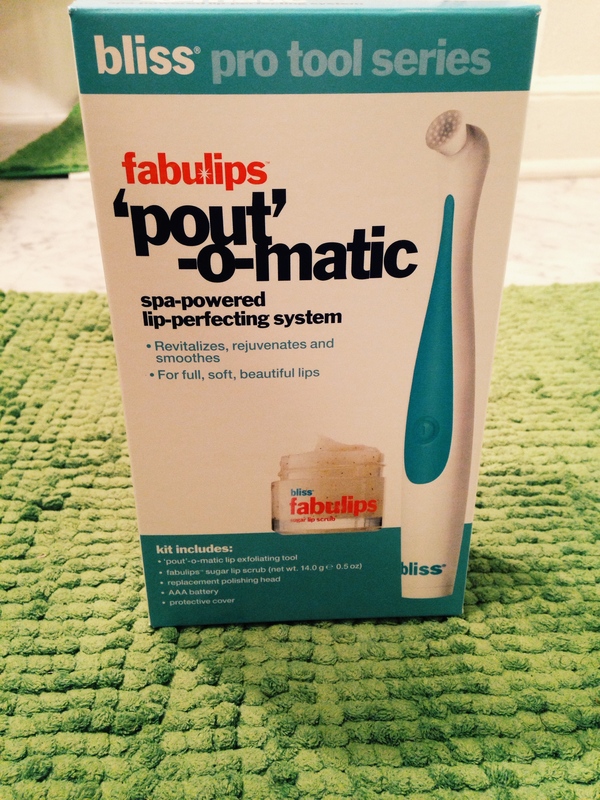 I recently got the Bliss Fabulips ‘Pout’-o-Matic* system for the ultimate lip perfecting experience. I regularly use a lip scrub to smooth out my lips, and was very excited to try out this new tool! I think this system works better than just a plain lip scrub. I see that as combination of the tool and the lip scrub in the package. This scrub isn’t as rough as my others – and I think ironically that’s what makes it work better! 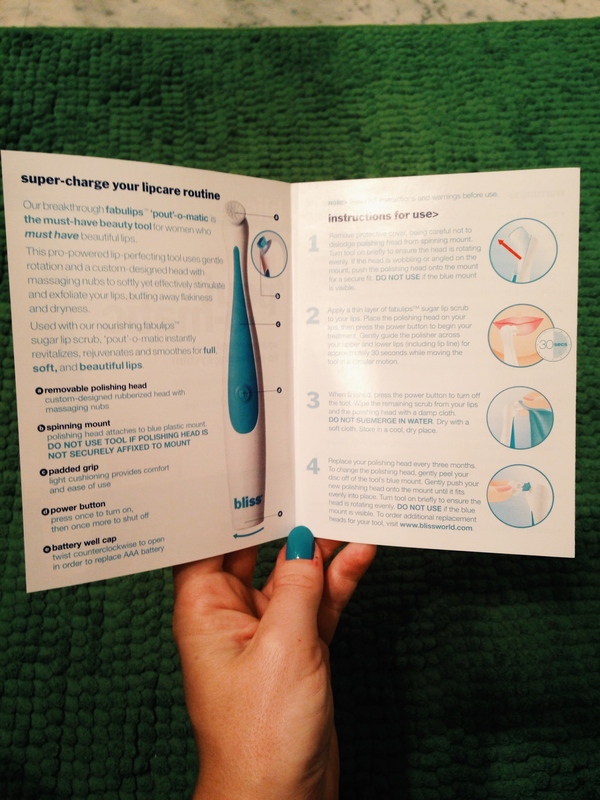 Using the Pout-o-Matic is like having a mini spa experience at home. Right away my lips were full and smooth. 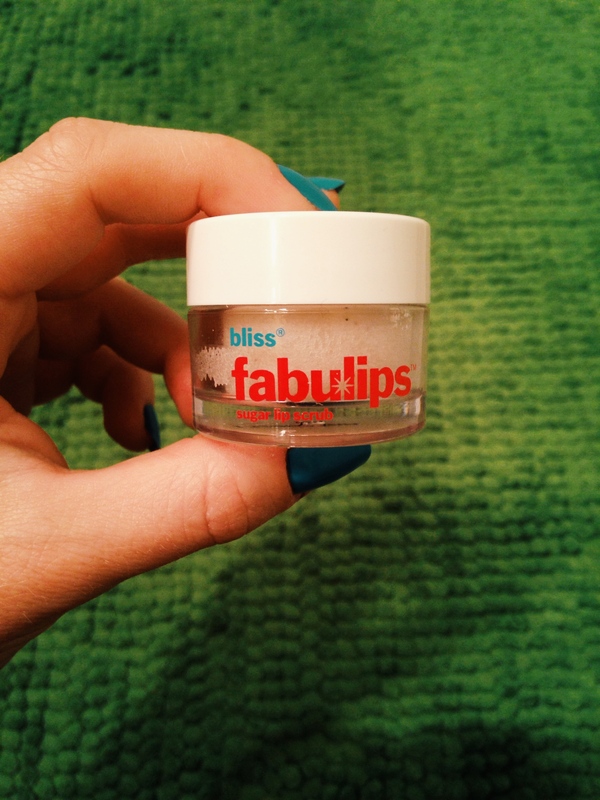 This would make for a great treatment on chapped lips, and especially before you want to apply a bright lipstick. Overall, I’d recommend the system, but ordinary lip scrubs accomplish the same goal more or less. I’d recommend this for anyone who gets chapped lips on a very regular basis or for those that really want to “amp” up their lip care 😉 with a fun new tool! Skincare junkies will fall in love. 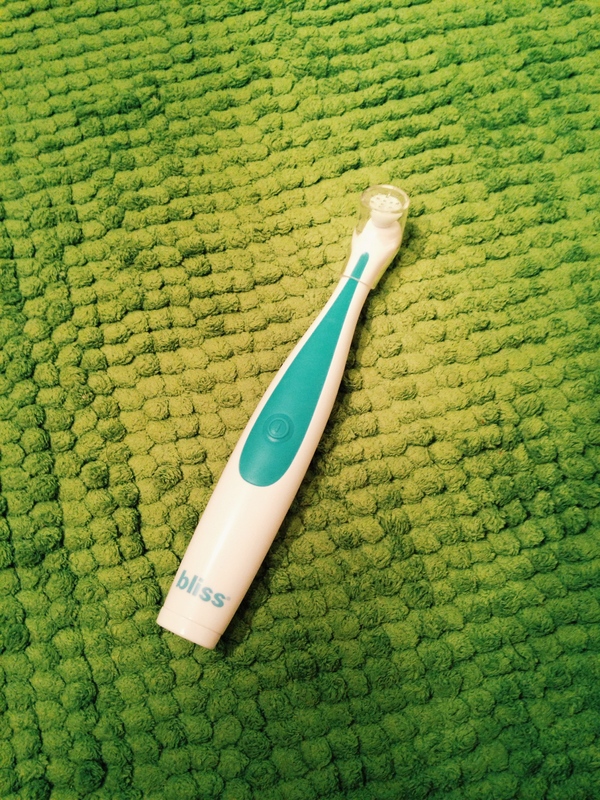 This is almost like a mini Clarisonic for your lips. I promise I didn’t play for my nails to match the machine! 😉 But I love it when they do! To use the system – you simply dip your finger into the scrub tin and apply a coat onto your lips. 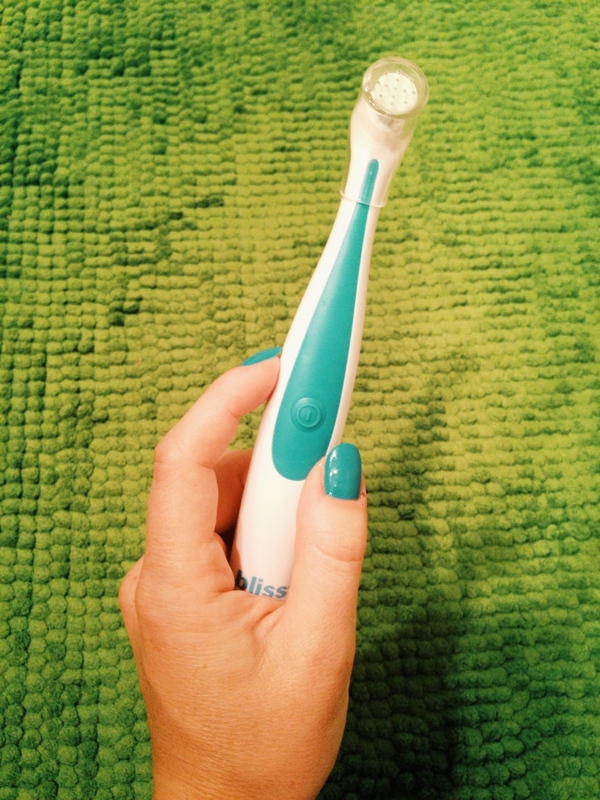 Then, turn on the Bliss machine and gently guide over your lips in a circular motion for 30 seconds. 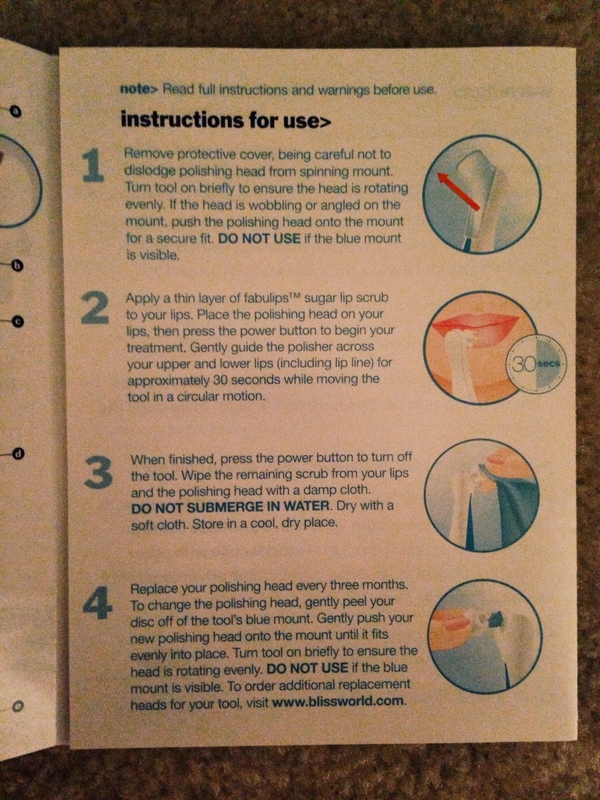 To clean the brush head (the system comes with 1 replacement), you simply wipe off with a damp cloth. Don’t place directly under water. Disclaimer: Items marked with a * were either sent to me for consideration or given to me as gifts. Everything else was bought on my own!